Antibiotics? Aren’t we against it since it destroys even the good bacteria? However in this case, both conventional and alternative doctors agree that the primary intervention for ulcers, specially those caused by Helicobacter pylori. 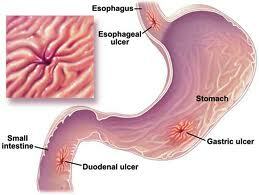 But this doesn’t meant that alternative medicines are not effective or important in the treatment of ulcers. Following the course of antibiotics, you can use these home treatments to help the stomach and duodenum heal and to prevent ulcers from coming back. Fish oil and corn oil. To help keep the ulcers from coming back, use corn oil in cooking and using it in salad dressings and by having two to three servings of fish a week. If fish is not one of your favorite food, try taking fish supplements following directions on the label. Get as many intake of dietary fiber to help prevent ulcer recurrence, foods such as apple, oat bran, broccoli, brussel sprouts, cabbage, carrots, whole grain breads and cereals supply plenty of fiber. Or some fiber supplements that contains psyllium seeds may be used. 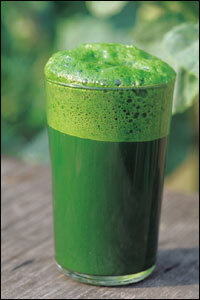 There is a compound called gamma oryzanol which can help most ulcers heal. With or without antibiotics, take 300 milligrams of gamma oryzanol a day to speed healing. Another unfamiliar compound called DGL or deglycyrrhizinated licorice may also be used. Some studies show that this is more effective than some over the counter anti ulcer medications at controlling symptoms of ulcers. Follow the directions at the label. Lastly, cabbage juice which is rich in glutamine that nourishes and repairs the lining of the digestive tract is very effective in healing ulcers. It may taste vile bit there are available supplements. Take 8,000 milligrams of glutamine a day for weeks.